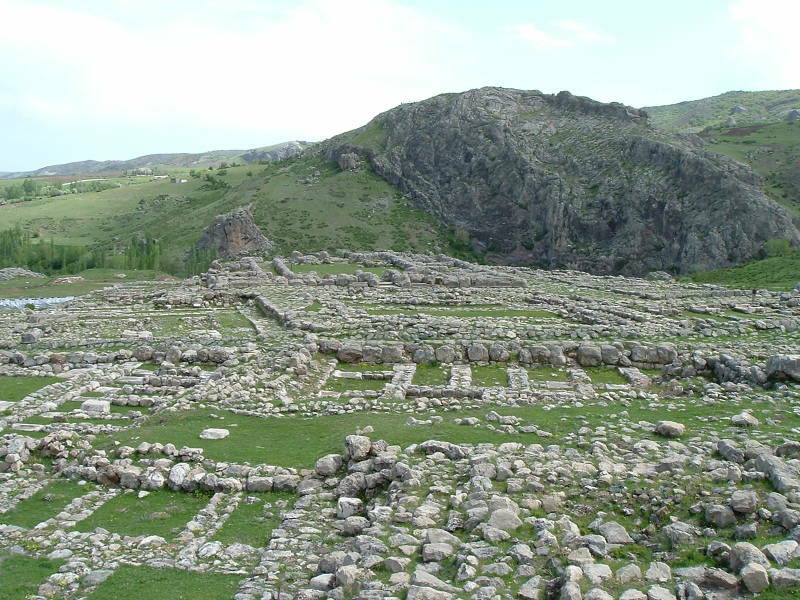 Several Neolithic settlements were established during the sixth millennium BC in north-central Anatolia, where a broad valley opened from the mountains into a fertile open plain. There were rich agricultural fields, hills for pasture, and forests providing an excellent supply of timber. 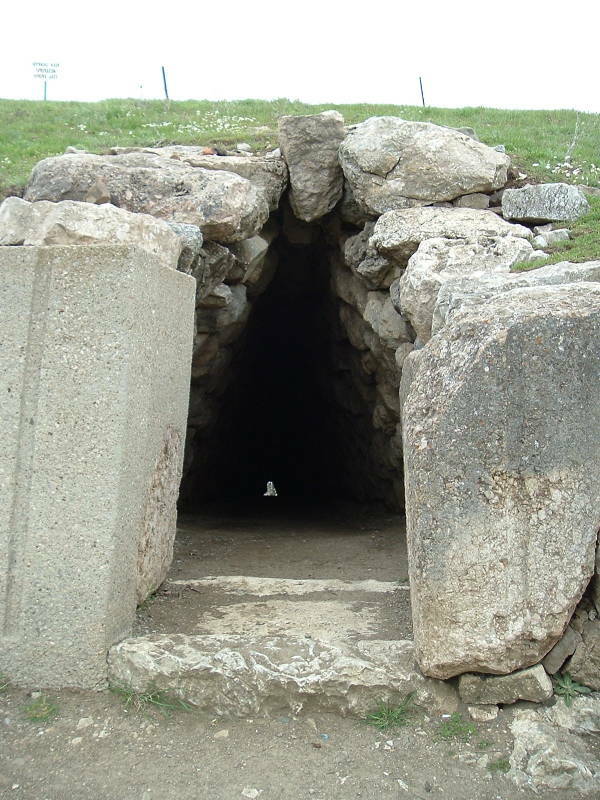 One of these eventually became known as Ha-at-tu-ša by the later Hittite people, what the present-day Turks call Hatuşaş, variously known as Hattusa and Hattusha by speakers of western European languages. It grew into a large fortified city on the side of a mountain, overlooking a broad valley. It was the capital of an empire that controlled much of Anatolia and the Levant, conquering Babylon and challenging the Egyptian pharoahs. The Hatti people had a settlement here, then Assyrian merchants arrived. Then, the Hittite people established a powerful kingdom with its capital here and controlling territory throughout Anatolia and the Levant. Many cultures fell and their populations dispersed during what is called the Bronze Age collapse. The Phrygians later established a settlement on the site in the 8th century BC. The indigenous Hatti people established a settlement here before 2000 BC. 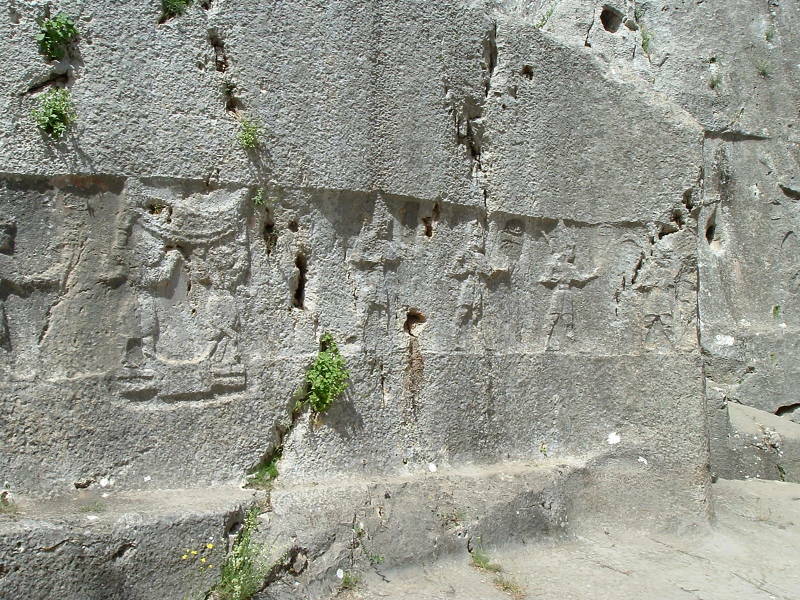 The Hattic language continued to be used for religious purposes and there is a great deal of continuity between the Hatti and the later arriving Hittites, so we do not know if the Hatti were displaced by the Hittites, absorbed by them, or if the Hatti people adopted the Hittite language and were no longer distinct. The Assyrians were also establishing outposts in the region. 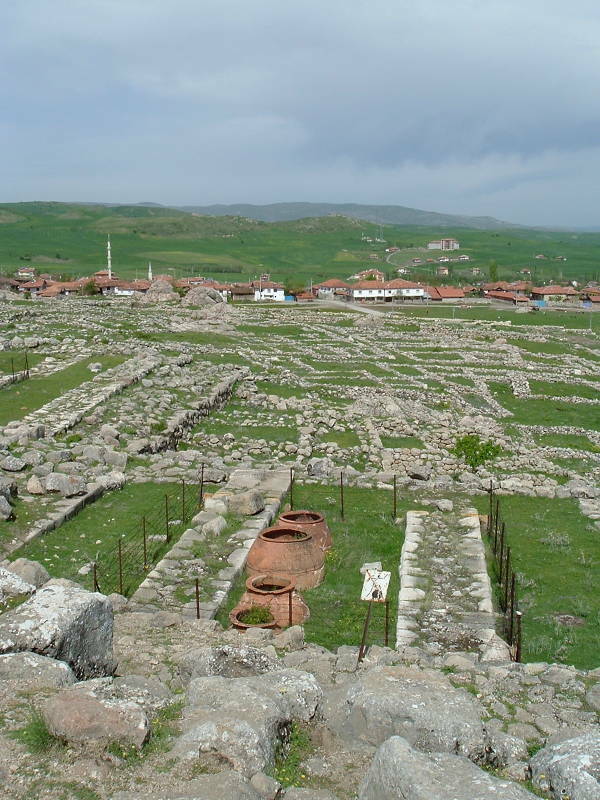 A group of merchants from Assur had their own quarter of the city at Hatuşaş by the 19th and 18th centuries BC. The Assyrians and their need for maintaining business records brought writing to the region, in the form of the Assyrian system of cuneiform. Cuneiform tablet listing tax payments in wool and textile from twelve individuals to the Hittite state. Mesopotamian cuneiform writing the Hittite language. 13th century BC, object #NBC 3842 in the Yale Babylonian Collection, on loan to the Oriental Institute of the University of Chicago. The adoption of writing, using Mesopotamian cuneiform to write the Hittite language, provided a mechanism for record keeping that allows us to understand much more about the cultures of the time. The tablet seen here lists tax payments in dyed wool and finished textiles, payments made by twelve individuals to the Hittite state. The Hittite people moved into Anatolia around 2000 BC, apparently migrating from a homeland on the Pontic Steppe around the Sea of Azov. They moved from there to the east and then south, between the Caspian and Black Seas and the west across northern Anatolia. At night I took the city by force. I have sown weeds in its place. Should any king after me attempt to resettle Hattush, may the Weathergod of Heaven strike him down. But within one generation a Hittite-speaking king had taken over the site, turning it into his royal residence and capital. 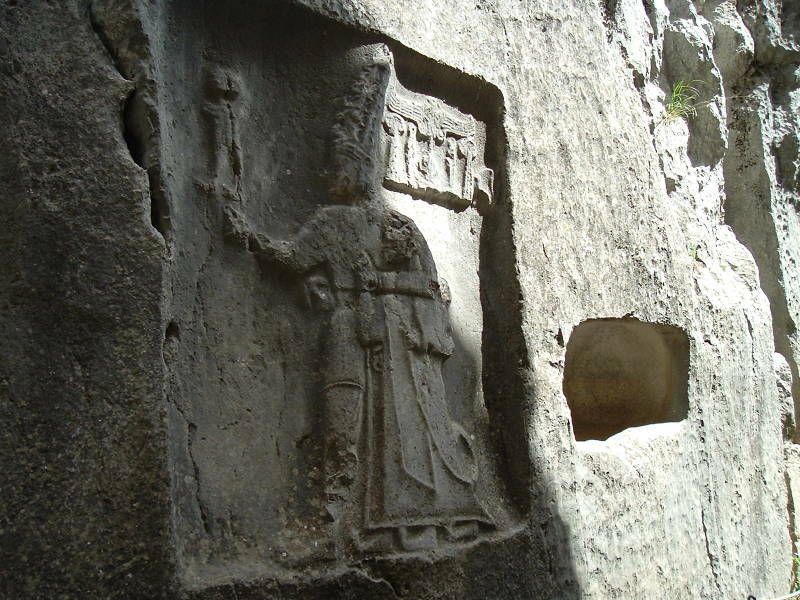 The Hattic name Hattus became the Hittite Hattusa, and this king adopted the name of Hattusili I, "The One From Hattusa". The Weathergod left him alone and the Hittite Empire did very well for several centuries. The names get rather confusing. The people we call "The Hittites" and who we describe as speaking "Hittite" referred to their own land as Hatti and to their own language as Nešili, meaning the language of Neša. We call them and their language "Hittite" because of their identification with the people called that by the Hebrew authors of the Old Testament of the Bible. 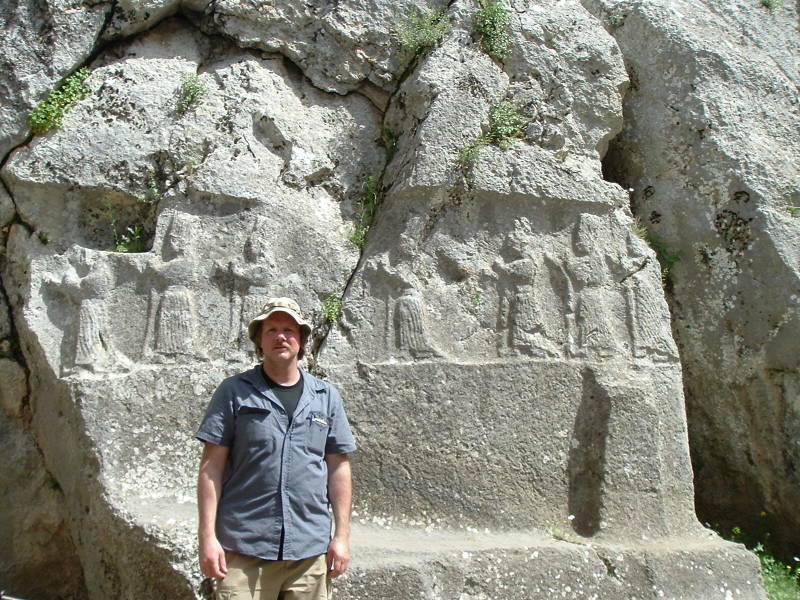 Although they called their land and themselves Hatti, don't confuse our Hittites with the people we call the Hatti. According to our names for people, the Hatti lived in the area first, speaking a non-Indo-European language. Then the Hittites moved in, speaking a very different Indo-European language. We now know this king's name. He ruled for at least three and a third years. Barley was grown and beer was produced from it, and sheep or goats were raised and their wool dyed and woven into cloth. A large collection of these records fills in the chronology of leaders and the description of the economy. Hattusili I led military campaigns as far as the kingdom of Yamkhad, in today's Syria, where he attacked but did not capture its capital of Aleppo. The Hittites eventually ruled a vast empire. Hattusili's heir Marsili I (or Murshilish I) captured Aleppo in 1595 BC, continuing down the Euphrates River and capturing both Mari and Babylon. 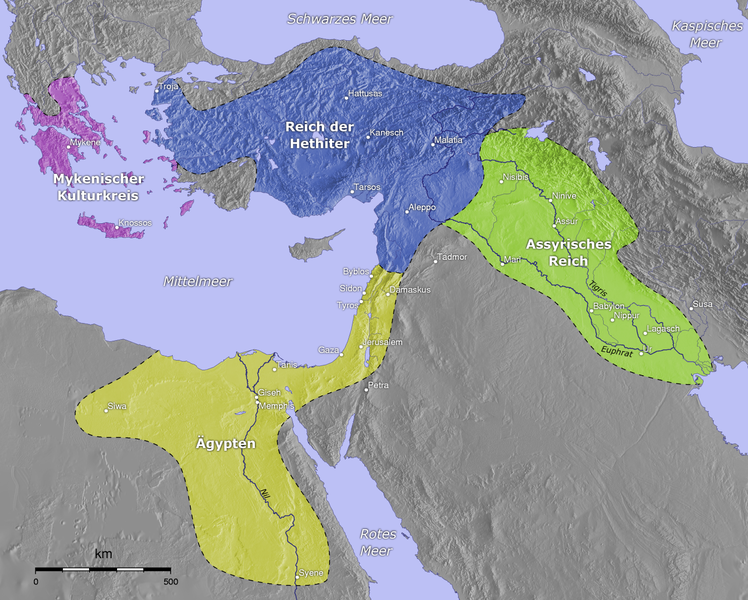 The map below shows the Hittite Empire in blue. However, just as in the 21st century AD, military over-extension in Mesopotamia led to some discontent at home and the Hittite forces were returned home. Control of Babylon was turned over to the Kassites, Hittite allies who ruled it for the next 400 years. Here we see the Lower City, looking beyond the Great Temple and across the valley toward Büyükkaya ("Big Rock" in Turkish). Büyükkaya was the site of some more of the several settlements in the area dating back at least to 6,000 BC. Hittite power waned for quite a while, becoming much greater and spreading the Hittite Empire's control through what is called the New Kingdom period. 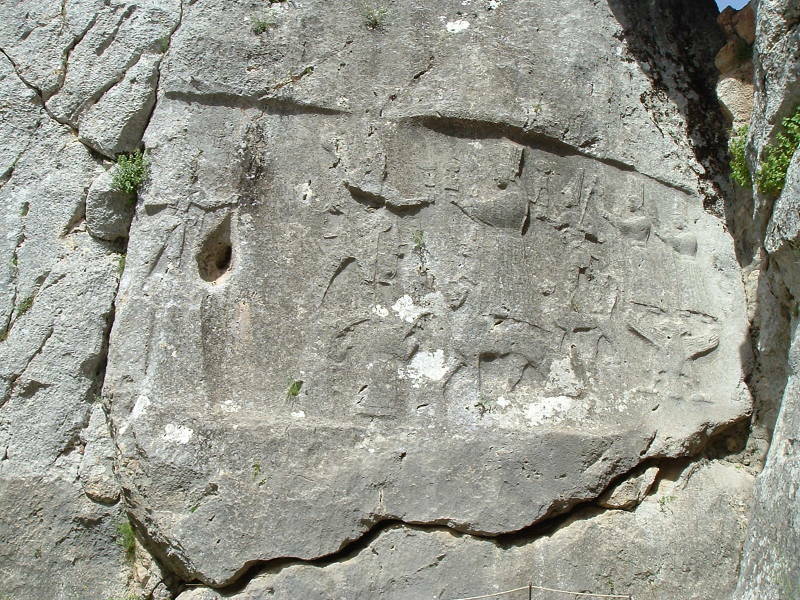 One of the more important cuneiform tablets discovered at Hatuşaş describes the peace settlement reached several years after the Battle of Kadesh in what today is Lebanon. This battle was between the Hittite forces and those of Egyptian Pharoah Rameses II, in the fifth year of Ramesses' rule or about 1274 BC as best as we can tell. There was no clear victor, as the fortunately timely arrival of Egyptian forces prevented a total Hittite victory. The Egyptians then forced the Hittites to take refuge in the fortress of Kadesh, but they were then unable to mount a seige. The treaty was finalized many years later, in 1259 or 1258 BC, fixing the mutual boundary of Hittite and Egyptian control in Canaan and specifying the marriage of a Hittite princess to Rameses. 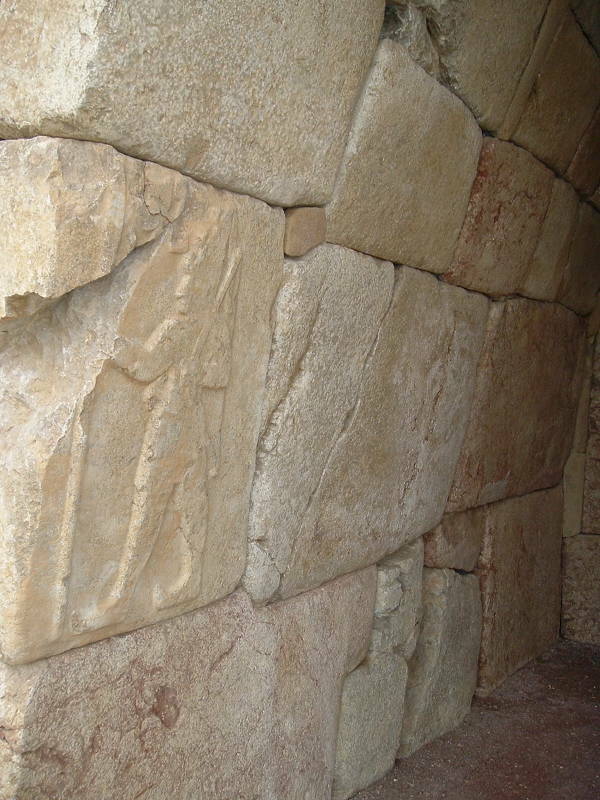 Temples and palaces were built from stone and remnants survice. Most dwellings were built from timber and mud brick and have left very few traces, nothing visible to the non-specialist visiting today. The much more residential Outer City, further up the slope, is today largely open with only a few widely scattered ruins of stone temples or other official structures. Here we see the Great Temple district in the lower city, looking over it to the relatively small Turkish town of Boğazkale, adjacent to the ancient site. The Hittite city covered 1.8 square kilometers at its peak, with a population estimated at 40,000 to 50,000. The inner city, lower on the slope toward the open valley, covered about 0.8 square kilometers. It was occupied by a citadel filled with large administrative buildings and temples. The Hittites developed bronze technology producing strong pins. More impressive yet, they developed hardened bronze drills, somewhat like today's hole saws. These could cut clean holes into stone. Bronze pins then held precisely-cut stones in place. 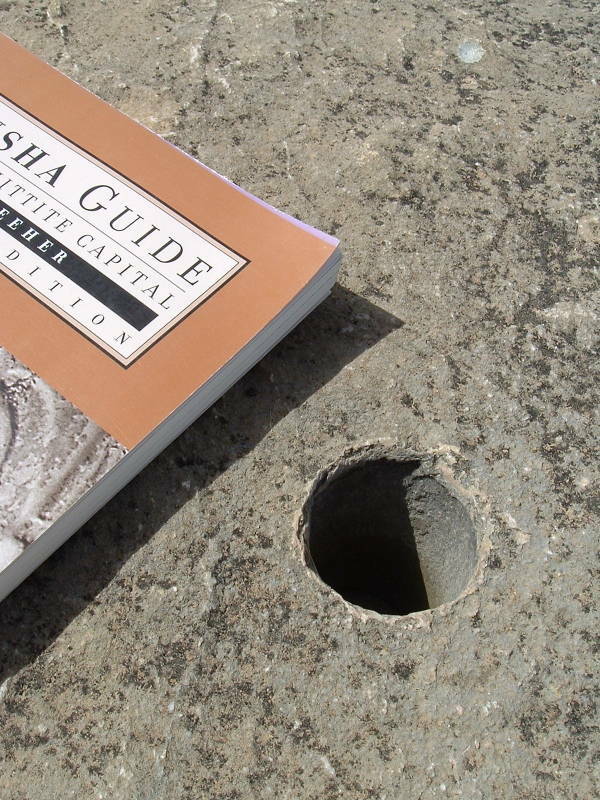 The holes are still very clean after 3,400 years! The Outer City was surrounded by defensive walls, with elaborate gateways decorated by sculptures of warriors, lions, and sphynxes. You could go in and out through the defensive wall by way of the elaborate gates, or through tunnels. 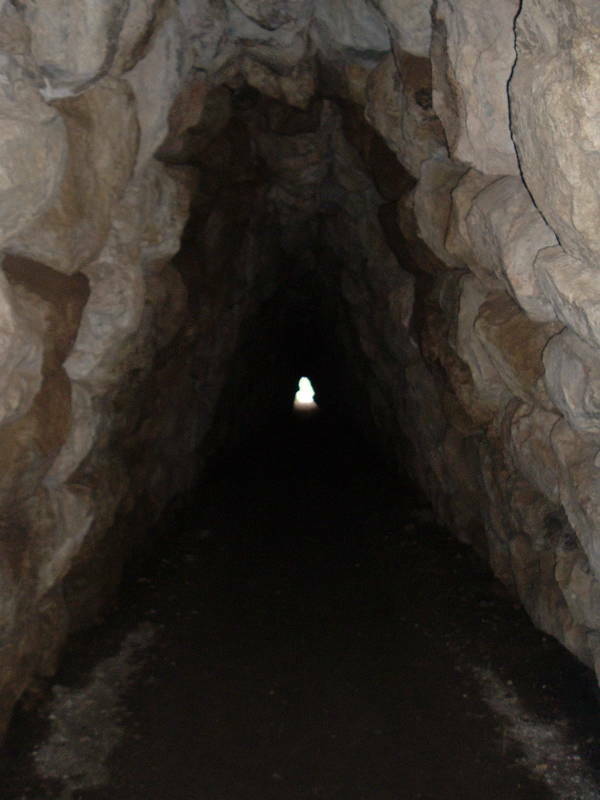 The fortified gates and tunnels were easily defended. Below we see one of two similar arched domes at Hatuşaş. Archaeologists have given this structure the boring name of "Chamber 1", a rather mundane title that obscures its significance. 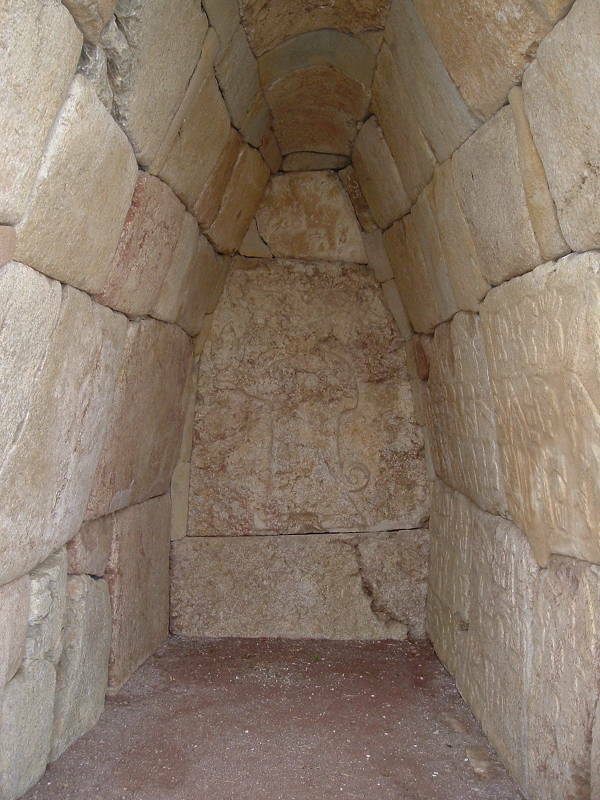 These are the earliest stone masonry domes known in the Near East. Luwian was another form of writing that became fairly common at Hatuşaş. 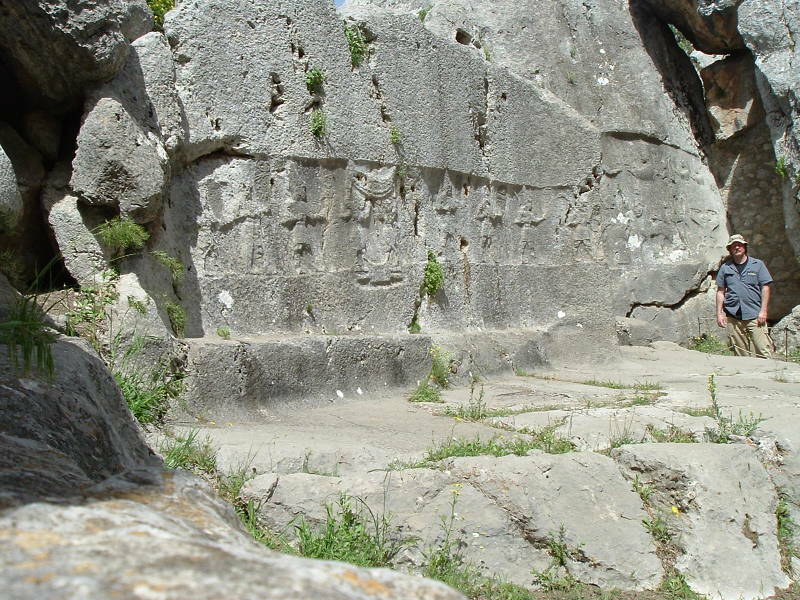 Here we see a stone face carved with Luwian hieroglyphs at Nişantaş, former site of a large ediface. The Luwian language was closely related to Hittite. 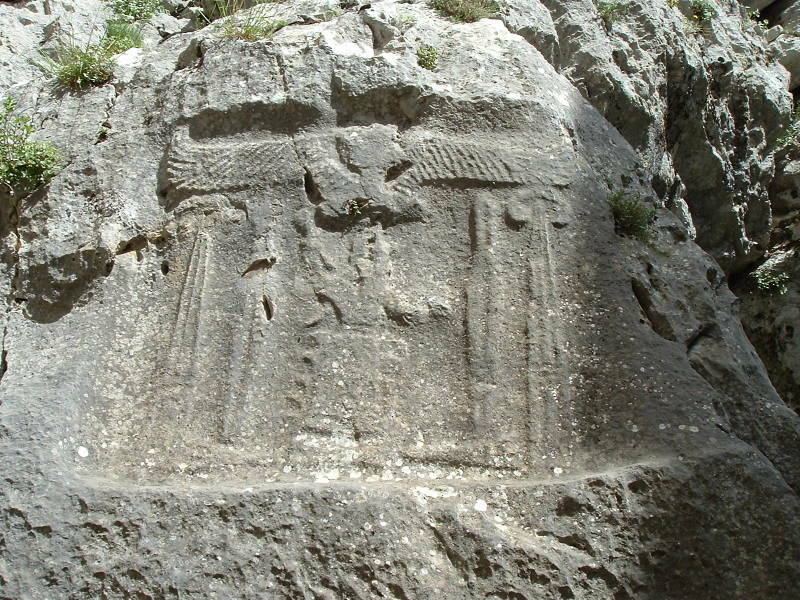 Native Luwian speakers became the majority of population of Hatuşaş in the 14th century BC. By the time the Hittite Empire collapsed around 1180 BC, the Hittite king and the royal family were fully bilingual in Luwian. The two languages of Hittite and Luwian are the earliest historically attested examples of Indo-European languages. The Hittite language referred to itself as nešili or ≈ⅆ⇷ in the original cuneiform, meaning "in the language of Neša". That was a town to the southeast of Hatuşaş, about 20 kilometers northwest of today's city of Kayseri. 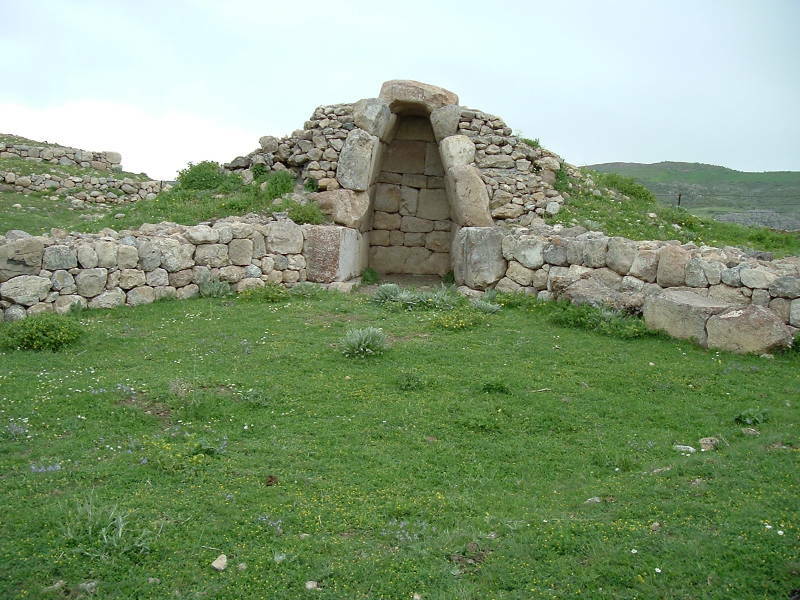 It was an Assyrian settlement calling itself Kaneš, the Hittites later called it Neša. 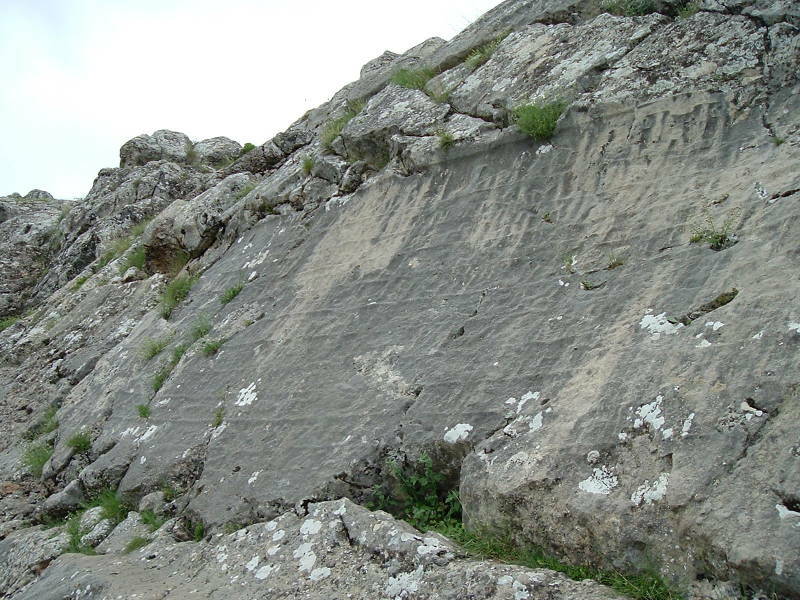 This is where the earliest traces of the Hittite language have been found, along with Old Assyrian writing from the 20th century BC. It's now known by the Turkish place name Kütepe. 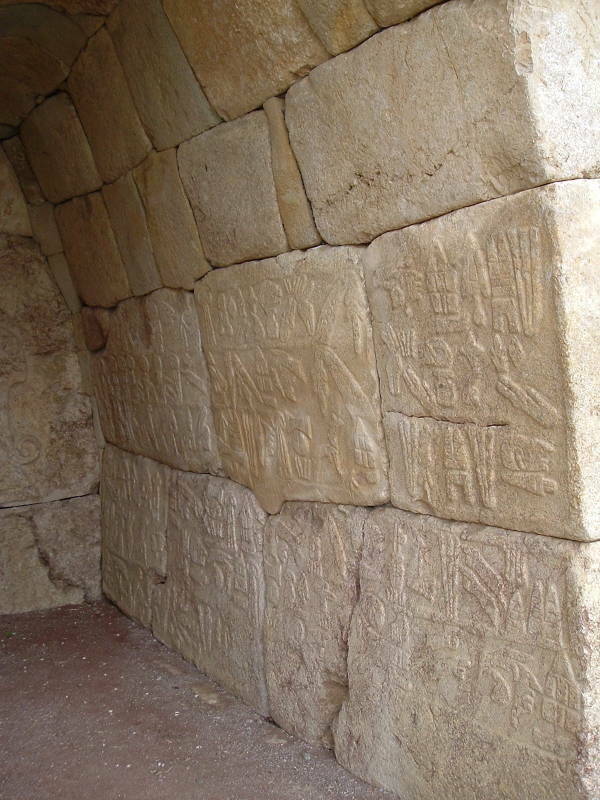 These carved Luwian hieroglyphs are in "Chamber 2", the Hieroglyph Chamber. This is the second of those two domed chambers. Luwian hieroglyphs were a logographic script consisting of about 500 signs. 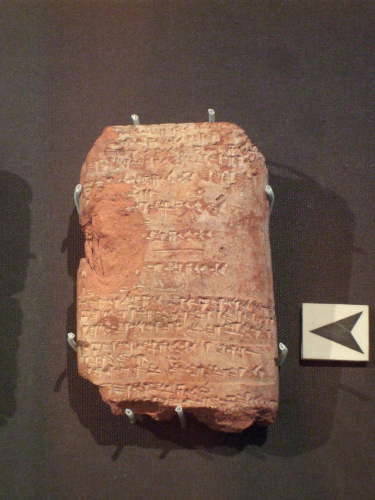 Both cuneiform and Luwian hieroglyphs became obsolete when alphabetic writing appeared. Alphabetic writing seems to have entered Anatolia from two directions simultaneously — from the Aegean and the west with the Phrygians, and from the east from the Pheonicians. Luwian hieroglyphs were first noticed in the West when European explorers found pictographic inscriptions on walls in Syria. By 1915, the Luwian language was known from cuneiform and Luwian hieroglyphs were beginning to be understood. It was partially deciphered in the 1930s. Here we are looking down from Büyükkale, Turkish for "Big Fortress", at the upper end of the fortified city. We are looking down across the Outer City, mostly empty open space today, long after the wood and mud brick dwellings disappeared from its mostly residential areas. Beyond that are the remaining stone ruins of the Inner City. Further in the distance we can see the red roofs and white walls of the village of Boğazkale. Beyond that is the valley leading toward the town of Sungurlu, about 25 kilometers away. Boğazkale means "Throat Fortress". You can see that the Hittites located their city at the "throat" of valleys leading up into the mountains behind this view, and opening into the valleys. You can walk about a kilometer along a narrow road out of Boğazkale, past the entrance to Hatuşaş and up toward Büyükkaya. 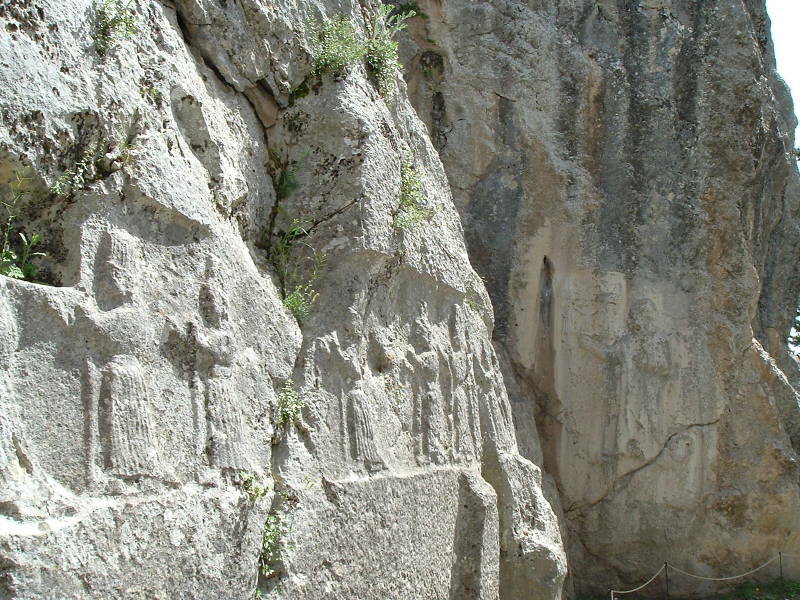 There you find Yazılıkaya, a somewhat mysterious religious center whose name means "Carved Stone". These are the carvings in Chamber A at Yazılıkaya. These hieroglpyhs have been carved in Yazılıkaya's Chamber B. View over the village of Boğazkale and lower Hatuşaş, from the top of Büyükkaya. The Hittite Empire contracted and then the Hittite state itself collapsed as part of a wide-spread trend known as the Bronze Age collapse. 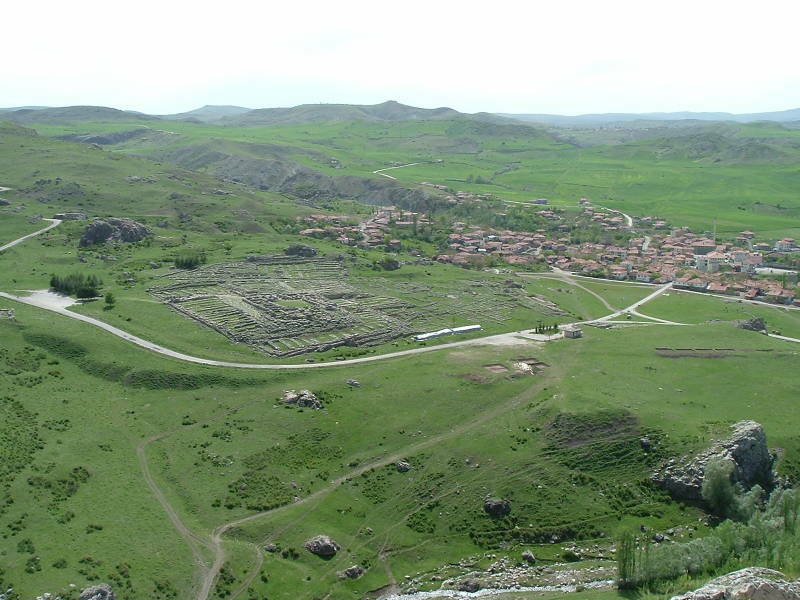 The city of Hatuşaş was destroyed around 1200 BC. 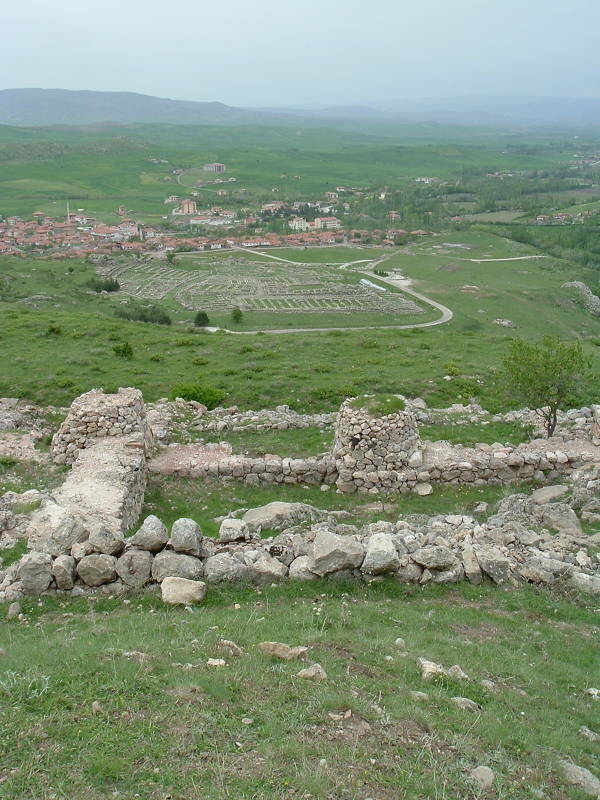 Hatuşaş was abandoned for about 400 years, until a relatively modest Phrygian settlement formed there. The Phrygians came out of the southern Balkans. They moved into Anatolia when Troy was at the height of its power, as either allies or protectees of the Trojans. The Phrygian people were just tribal village dwellers when they first moved into Anatolia. They increased in organization and power, forming a state of Phrygia in the 8th century BC. Its capital was at Gordium. Their mythic kings were alternately named Gordias and Midas. Yes, as in the Gordian Knot and the Golden Touch respectively. Those kings were mythic, but there was some truth to them. Assyrian documents from the 8th century BC describe a King Mita of the Mushki, recently identified as King Midas of Phrygia. Phrygia was a trading partner joining Greece in its west with the neighboring nations to its east. The end for the Phrygian nation came with the invasion of the Cimmerian people around 700 BC. The Phrygian king Midas took poison to avoid capture. Gordium fell to the Cimmerians in 696 BC, and Herodotus reported how they sacked and burned the capital. Yes, the Cimmerians were a real people. The Greeks called them Κιμμέριοι. 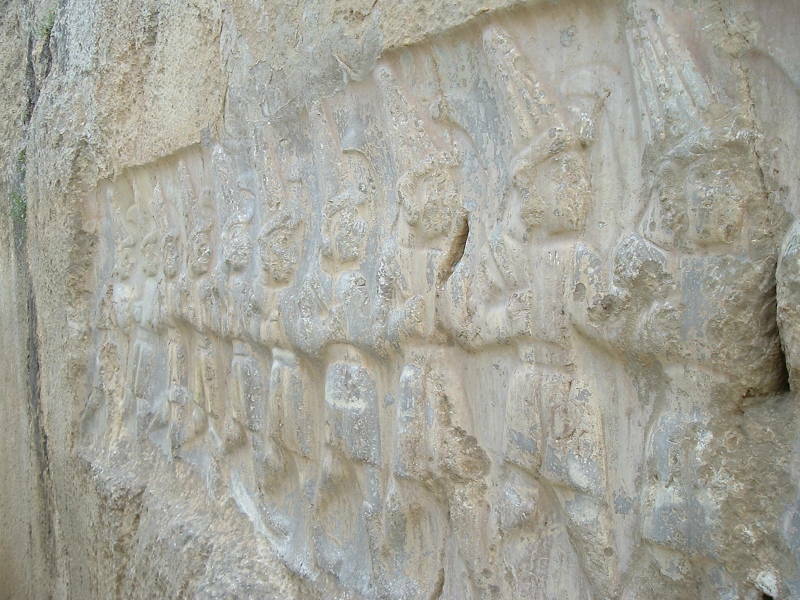 They appeared around 1000 BC, and were mentioned by the Assyrians in the 8th century BC. Herodotus said the Cimmerians came from the lands north of the Caucasus and Black Sea during the 8th and 7th centuries BC. Homer described them in the Odyssey [book 11, lines 12-18] as living beyond the Oceanus, the world-circling sea, at the edge of the world in a land of fog and darkness near the entrance to the realm of Hades. Robert E Howard described them with origins back to the Thurian Age, descendents of colonists from Atlantis, living during the Hyborian Age in northwestern Europe. Phrygia continued as part of the Lydian empire under the 560-546 BC reign of the proverbially wealthy King Croesus. The Persian ruler Cyrus defeated Croesus in 546 BC, and Phrygian came under Persian control. Darius became Persian Emperor in 521, converting the ancient trade route into the Persian Royal Road. He established satrapies throughout his realm, with a Phrygian satrapy. Alexander the Great passed through here in 333 BC, famously cutting through the Gordian Knot. Gauls later moved into Phrygia, making it part of their realm of Galatia. The area came under the control of Rome in 133 BC, control that became that of the Eastern Roman Empire and then the Byzantine Empire. 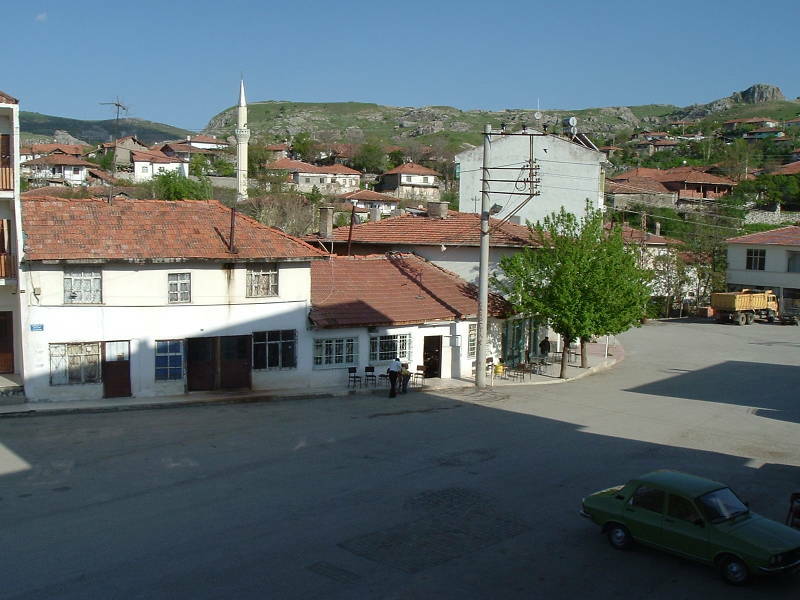 There is no bus station in Boğazkale, it is a small farming village. 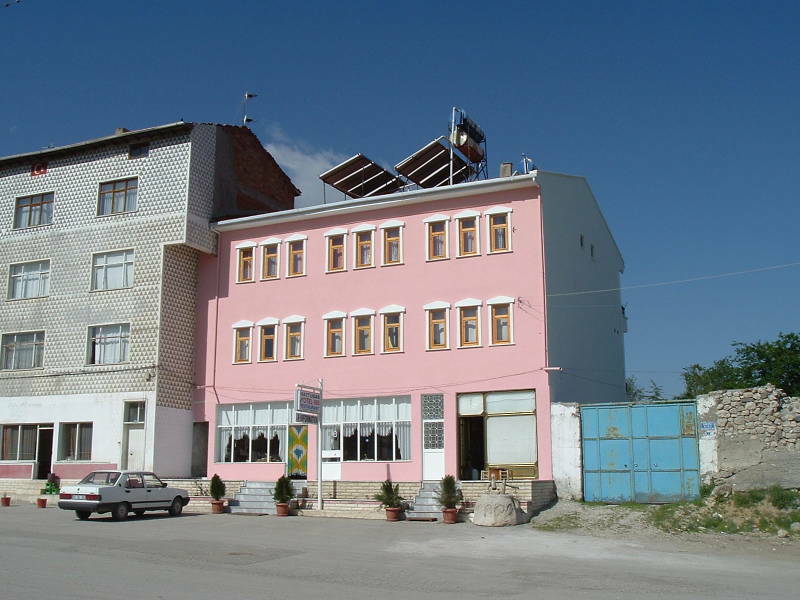 Take a bus to the larger town of Sungurlu, there is frequent service on buses out of Ankara. Then take a dolmuş from Sungurlu to Boğazkale. Beware: there may be no dolmuş service on Sundays. You might be able to arrange the rest of trip by hiring a driver in Sungurlu. You can leave by reversing part of your trip to Boğazkale, or there might be a dolmuş heading through the mountains to Yozgat, where you could continue by bus toward Göreme or other places in Cappadocia. Boğazkale or "Throat-Fortress" is a somewhat grandiose name for what is really a Turkish farming village with a population of about 1,500 people. It was formerly known as Boğazköy until tourists started making their way there to visit Hatuşaş. Its business district is a pair of streets with a number of shops, almost all of them dedicated to the needs of the residents, and a few small restaurants and tea shops.